Skateboard vs. Longboard: What's the Difference? →Skateboard vs. Longboard: What’s the Difference? If you’re often confused between a skateboard vs. a longboard, then we’ll help clear it up for you. Both activities are categorized as recreational sports. They may appear similar but each has their own unique and distinct features. They differ in style, form, and usage. A skateboard is an equipment designed with a board and a set of wheels to glide you along. You can move it by pushing off with one foot while the other is flat on the board. Another way to roll with it is by standing on the deck and letting gravity take over. On the other hand, a longboard is a specific type of skateboard. It is built a longer wheelbase with a bigger and softer set of wheels. A longboard is relatively faster because of its wheel size and is often used for cruising and racing. Both types of boards are manufactured in various types and styles to cater specific purposes. Some are built for simple and basic riding purposes to help you get from one place to another. Meanwhile, others are designed for tricks and exhibitions. There are also some boards that are meant for racing. Different boards are made for various purposes. Each allows you to experience a different kind of ride. To give you an idea, we’ll talk more about the differences. Skateboards are smaller and therefore, are much lighter to transport and carry around. A standard sized deck normally measures 30 inches long with a width of 7 inches. It is designed with a curve to make it more suitable to perform various tricks and exhibitions. Longboards, on the other hand, are longer than standard skateboards. They don’t usually follow a certain length requirement. Longboards are designed with more options especially when it comes to sizes and uses. It is more adaptable to various types of terrains. The deck is longer with two narrow strips on both ends to add more stability. It usually measures between 22 to 45 inches and is 9 inches wide. Skateboards are more suited for rolling on ramps and skate parks. This is mainly due to the weight of the board which allows it to spring and flip effortlessly. It is more functional if you plan on using it to play tricks and exhibitions. Skate Parks are designed with various levels of obstacles that cater to beginners, advanced, and pros. These includes bowls, half-pipes, staircases, and other challenging routes. Advanced skaters and pros practice to perform tricks such as ollying, freestyling, aerial flips, sliding, and grinding. You can still use a skateboard for cruising but it isn’t intended for that purpose. It isn’t comfortable for cruising on long rides. Plus it’s less stable especially if you’re strolling on uneven surfaces. You can use a longboard to commute and transport yourself from one place to another. This helps you save more money while giving you some exercise and sunshine as well. 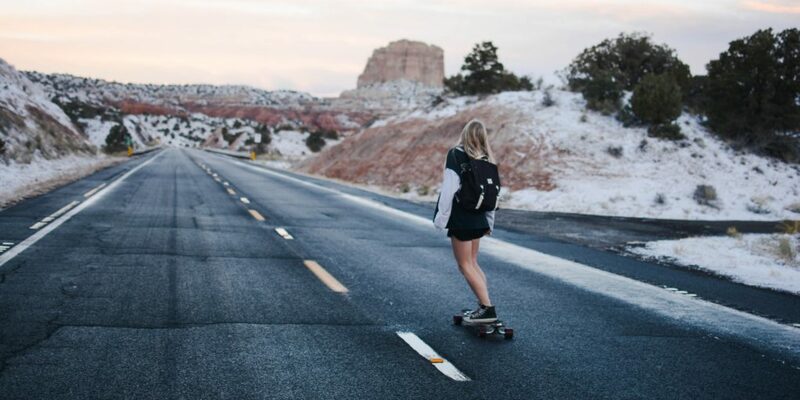 Longboards are more comfortable for travels because it is built with a soft set of wheels. It provides more support which is suitable for gliding and absorbing impact on bumps on the road. Aside from cruising, longboards are also great for downhill slopes and racing. This is a bit risky in terms of safety because you are sharing the road with other vehicles. You may possibly get into an accident from downhill racing. In some cases, there are skaters who are able to perform tricks on longboards. However, compared to skateboard tricks, these stunts are usually slower but nonetheless still possible. Since skateboards are smaller, it is more challenging to use. You need to have better sense of balance and stability when you’re rolling with it. Since you need to push it off the ground with one foot, you must maintain balance and stability. Meanwhile, a longboard allows you to propel yourself in a better position. You can move your feet more freely for better proportion especially if you have a wide footing. This makes it comfortable for skaters with big feet. The good thing about longboards is that you don’t have to constantly thrust yourself off the ground. Instead you can move the board by moving your weight forward and backwards while riding. This movement will keep your board moving forward while keeping both feet on the board. In essence, a skateboard allows you to perform difficult and complicated stunts while a longboard is more practical for transportation purposes. The question is, where do you plan on using it more? 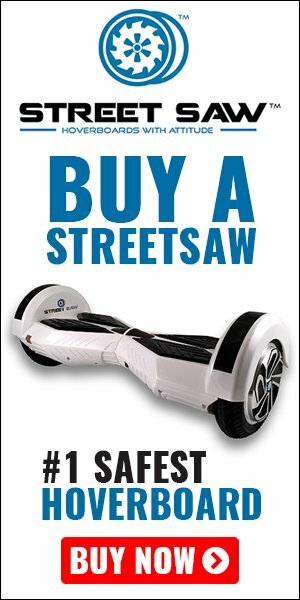 If you just want to cruise around your neighborhood then a longboard is definitely much more suitable. However, if you want to upgrade your skills and learn some tricks, a skateboard is appropriate for you. It all boils down to which you feel is more suitable for your lifestyle and need.